International Assistance Dog Week begins on August 5th. This week-long observance honors the intelligent, patient dogs that help people with disabilities overcome many limitations. During International Assistance Dog Week, all aspects of assistance dogs are celebrated – from puppy raisers who help shape the future of assistance dogs to trainers to the amazing dogs themselves. 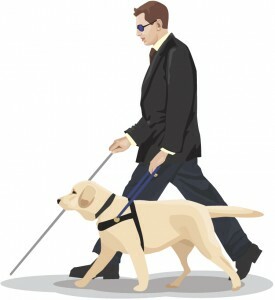 The week aims to raise awareness and educate about assistance dogs and their contributions to society. If you’ve had experience with assistance dogs in any way, we’d love to hear from you during International Assistance Dog Week! Please feel free to leave a comment here, tweet us @PetPeeps or leave a message on our Facebook Wall. On this Labor Day, September 3rd, we’re running a Facebook charity drive.